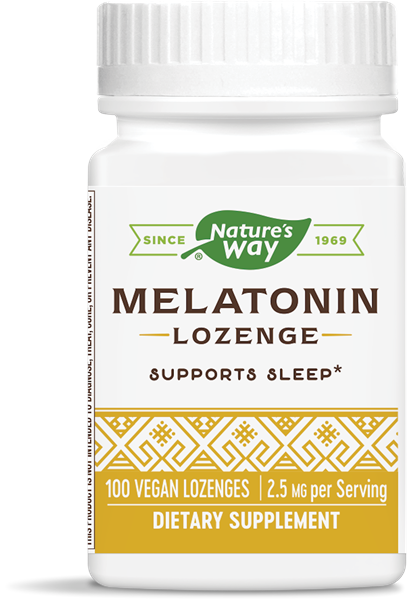 Melatonin / 100 Lz - Nature's Way®. Adults take 1 lozenge daily. Dissolve in mouth and swallow. Best taken before bedtime. Do not use this product unless advised by a healthcare professional if you are pregnant, attempting to become pregnant, or nursing; if you are taking any medications; or are being treated for depression, autoimmune, endocrine, diabetes, blood clotting, or seizure disorders. Do not take melatonin while operating a motor vehicle or machinery and do not exceed suggested dose without the advice of a healthcare professional.